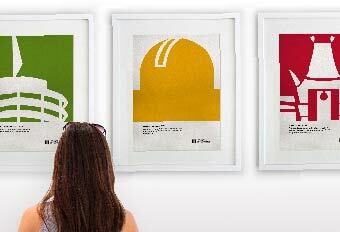 Written by YYES, designed and printed by Studio on Fire. 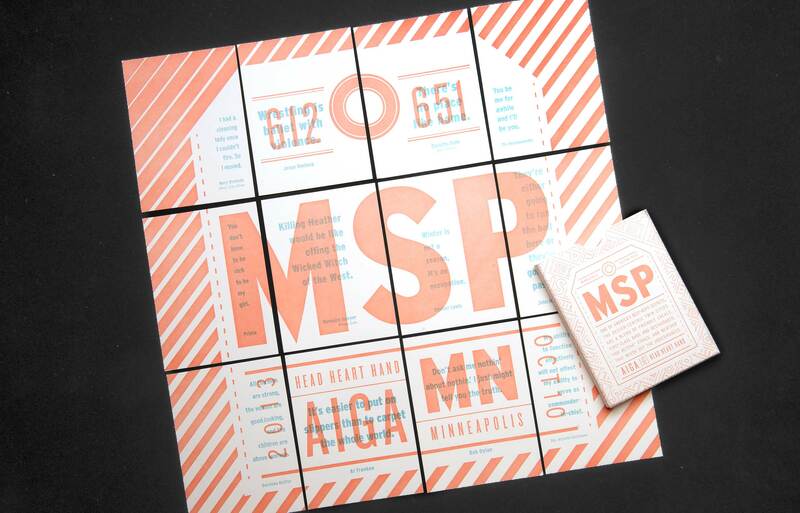 A collaborative concept for the 2013 AIGA national design conference that gave conference attendees from around the country an insider’s guide to eating, drinking, and experiencing Minneapolis and Saint Paul. 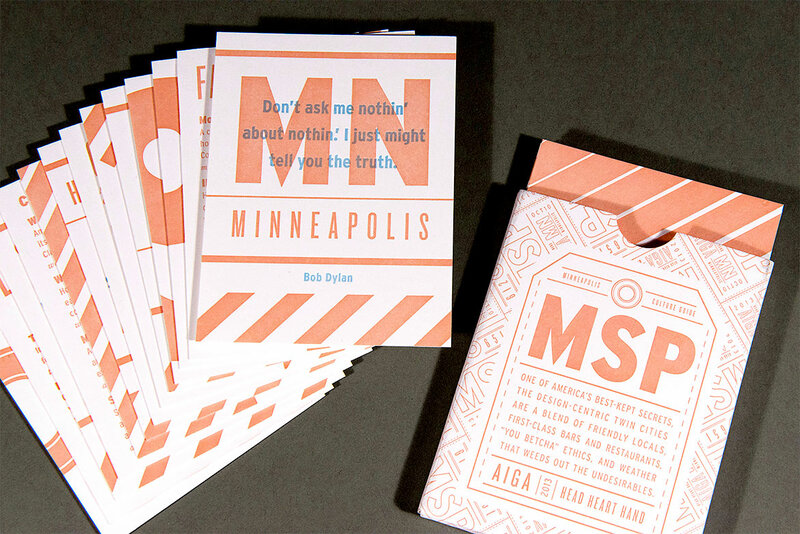 Each card featured categorized recommendations as well as a quote from a notable Minnesotan. 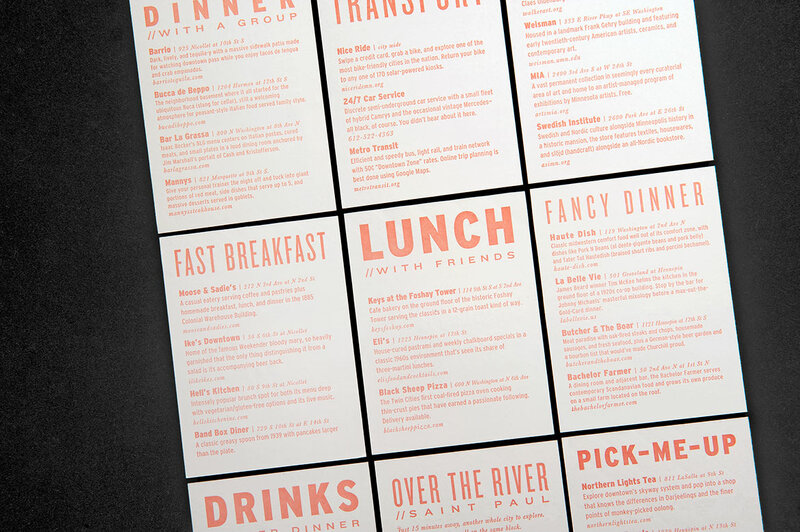 12 cards in a pocket-sized sleeve, letterpress printed in two spot colors.